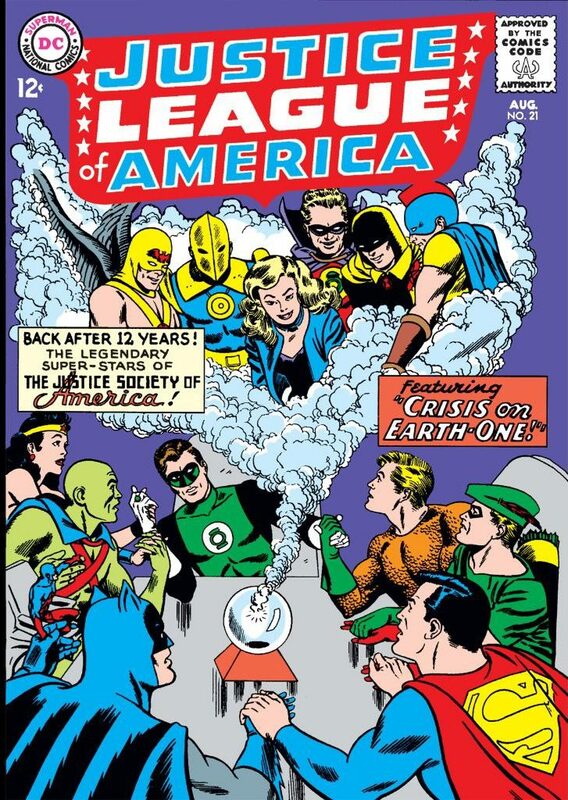 It marked the return of the Justice Society of America to DC continuity after a 12-year absence. For the older readers out there like Jerry Bails and Roy Thomas (and even my father, I suppose), all those adventures they had loved so much in “All-Star Comics” actually happened – just on another earth. This story, concluded in “Justice League of America” No. 22, was the first meeting of the two teams. Upon these issues, DC’s multiverse exploded. The team-up proved to be so popular with readers that the meetings became annual summer events, issues this reader waited for impatiently and re-read countless times. 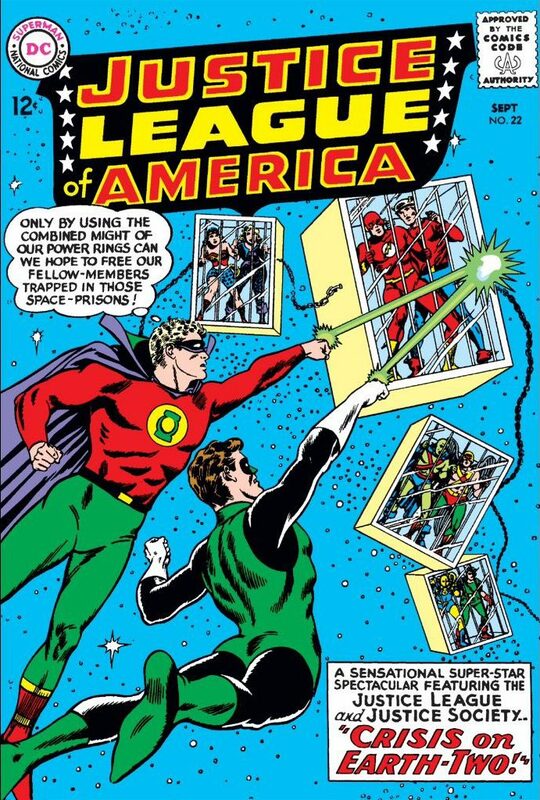 Anyone who has spent more than two seconds on this site could guess my love for the Justice Society of America, the first and the greatest super-team ever, and that’s purely unbiased, no-spin reporting right there. Several years ago, having reached a certain point in my life, I set out to collect all the Silver Age appearances of the Justice Society. Methodically I checked off all those team-ups that came before the one that hooked me on the comic book habit. How could you resist this comic? About five years ago, I obtained a copy of “Justice League of America” No. 22. But the first part, issue No. 21, man, that remained beyond my reach. When I was younger, when Boston still had monthly comic book conventions at a now-defunct hotel, there were always one or two vendors with that issue – at a price I couldn’t afford. Now that I was in a position to buy, I couldn’t find a copy I wanted. Sure, there’s eBay, but I’m just leery about shelling out any significant sum of money for a book I can’t see in person. Scans can be faked. I actually obtained my first All-Star Comics issue earlier in the fall. Issue No. 34, cover date of April 1947, “The Wiles of the Wizard” introduces the villain who would bedevil the Justice Society for decades. What a treasure. “All-Star Comics” No. 34 – a rare Golden Age splurge for me. Just recently, my local comic book shop announced a huge sale. This was a big blow-out, with severe slashes in prices. Bored, I decided to check out the back issue room. And there, displayed on the wall, was my prize. A great copy, at a reasonable price. The logical answer is, now that I have everything I set out to get, I never need to buy another comic book. Another equally valid answer is to start chasing down all those All-Star Comics. As much as I love the Justice Society, as pleased as I am with snagging an issue of “All-Star Comics,” I love having a roof over my head more. 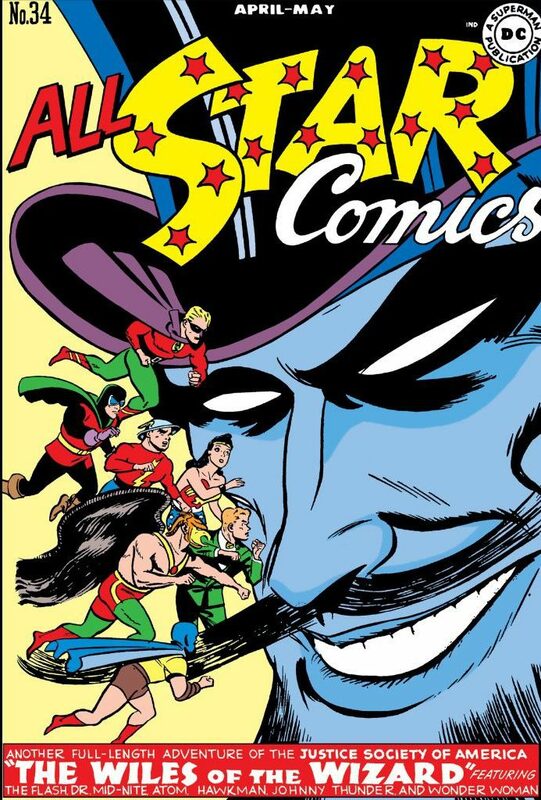 And I already own a complete run of “All-Star Comics” digitally and in hardback, in those incredible DC Archives (which are now out of print). That’s enough for me. But the purchase of my No. 1 Get of All Time does leave me wondering, and that’s not a bad thing. And I realized the key issue for me now isn’t money or time but space. My closets are stuffed with long boxes. My bookshelves are filled with trades, DC Archives and Showcases. As for “Justice League of America” No. 21, was the wait worth it? When villains strike on Earth-Two, first they send out notices seeking RSVPs. Even though this story has been reprinted several times over the year, it has lost none of its appeal. 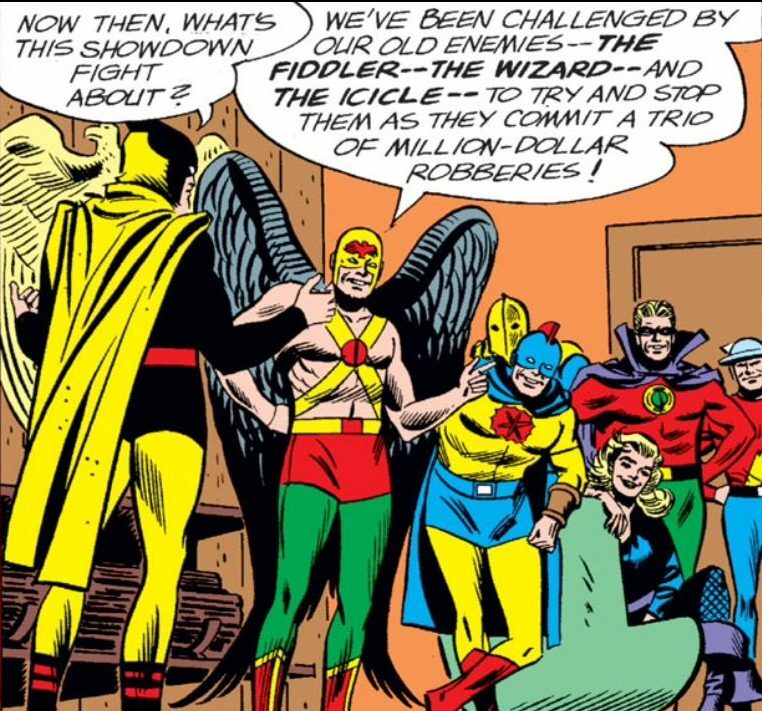 The reformed Justice Society celebrate in their “modernized” headquarters and note that their arch-foes, the Crime Champions, have notified them of when they will be committing crimes and have invited them to stop them. That’s how polite villains are on Earth-Two. That’s not just good, it’s Silver Age Great. Why Can’t Batman be a Hero? I’m with you there, Mark – I was lucky enough to find both #21 and #22 at the same time only last year. They’re milestone comics (and damn fine stories) and I was so pleased to find them in good condition and at a reasonable price. Still got a ways to go, though, as my ultimate goal is every issue of JLoA and the 60s/70s Green Lantern series. That is a great wish list, Gary, and some of the best reading, too. DC’s Silver Age has so much to offer. I wonder why they changed The (Al Pratt) Atom’s costume. Was the old one just too embarrassing for 60s readers? That is a great question, Keith. I’m not sure why the change was made but I think Roy Thomas must have provided some sort of a retconned answer either in “Secret Origins” or “All-Star Squadron.” I’m going to have to pull out my back issues! Yes! Inquiring minds want to know. Wasn’t it something to do with Cyclotron, the villain who tried to redeem himself? I think I remember the pair of them fighting in All Star Squadron which is how Atom received his powers – because being hit by a nuclear powered villain will inevitably end up passing on those same powers to a hero. Or something.